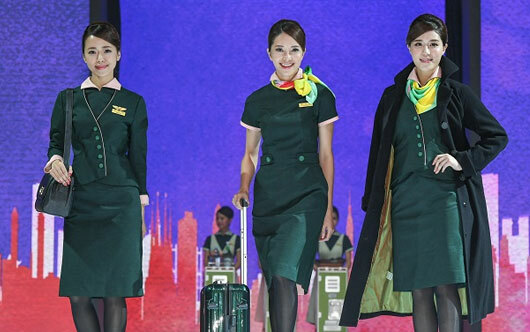 EVA Air recently revealed new service staff uniforms against the backdrop of its last 747 passenger jet in a celebration of the legacy of service it established over almost 25 years with the Queen of the Skies on Aug. 24. The airline staged the celebration at its maintenance, repair and overhaul affiliate, Evergreen Aviation Technologies. EVA chose trend-setting luxury fashion house Shiatzy Chen to create the new uniforms. EVA positioned its retired jumbo jet behind the catwalk used by service staff to introduce their third-generation uniforms. EVA took its last 747 passenger flight on Aug. 21. It will introduce its new look on flights and at airports in November.